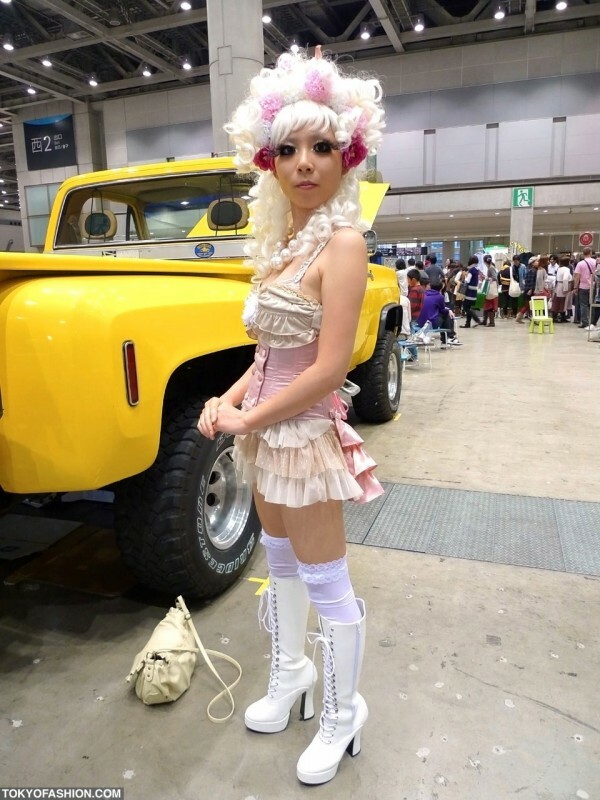 Pictures from Design Festa #32 in Tokyo. Featuring indie fashion, art, design, cosplay, and music from all over the world. A look inside Shibuya’s ultra-cool select shops Candy, Sister, and the art gallery Fake – with lots of pictures. 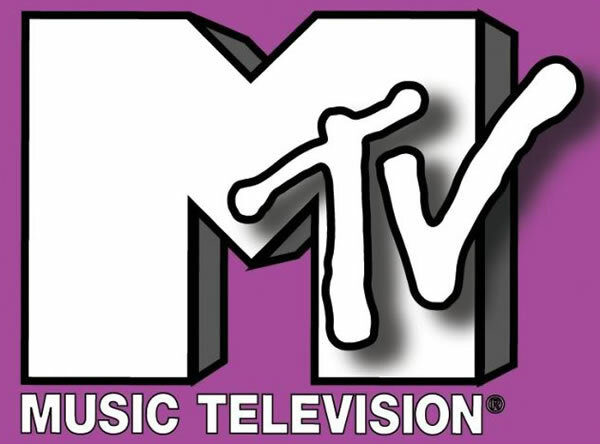 Info on the new MTV Japan reality TV series Shibuhara Girls – which follows the lives of young women in Tokyo’s fashion industry. 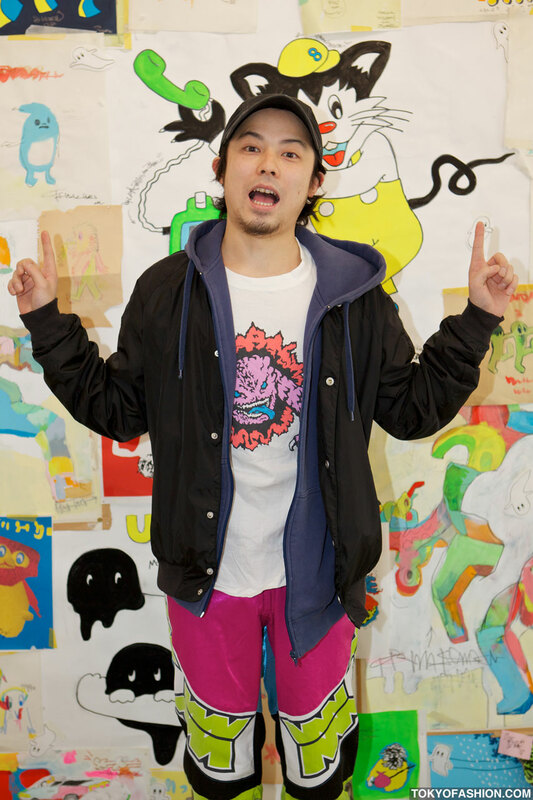 A feature – with lots of pictures – on the Japanese indie fashion phenomenon known as “Galaxxxy” – it’s a store, a brand, an art project, and a lot more. An exclusive report – featuring lots of pictures – on an event at Parco Shibuya featuring the 6%DOKIDOKI girls and the Popples. 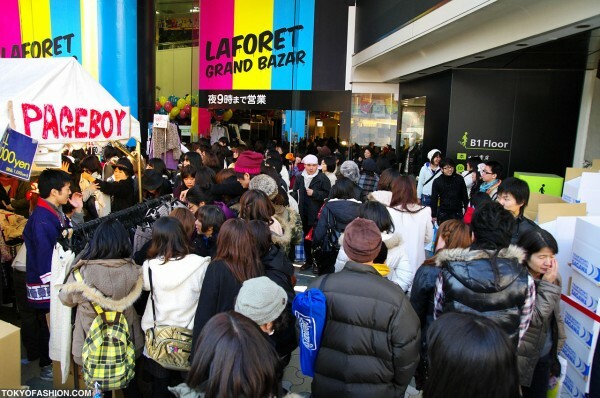 Exclusive pictures from LaForet Harajuku’s Grand Bazar – super low prices, huge crowds, and amazing leopard print coats! Pictures of 20-year-old Japanese girls in traditional kimono celebrating Coming of Age Day 2010 in Harajuku. A photo tour of the Omotesando area of Tokyo after dark. 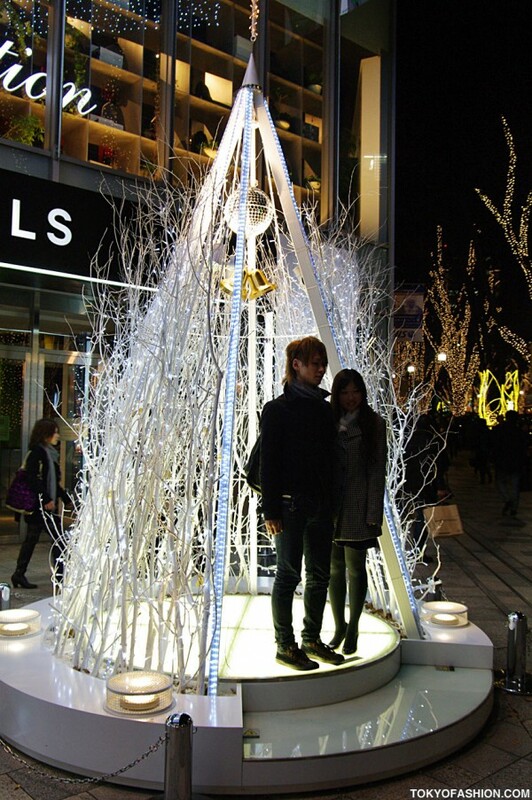 Featuring seventy pictures of the 2009 winter holiday lights and sights along Omotesando Dori. 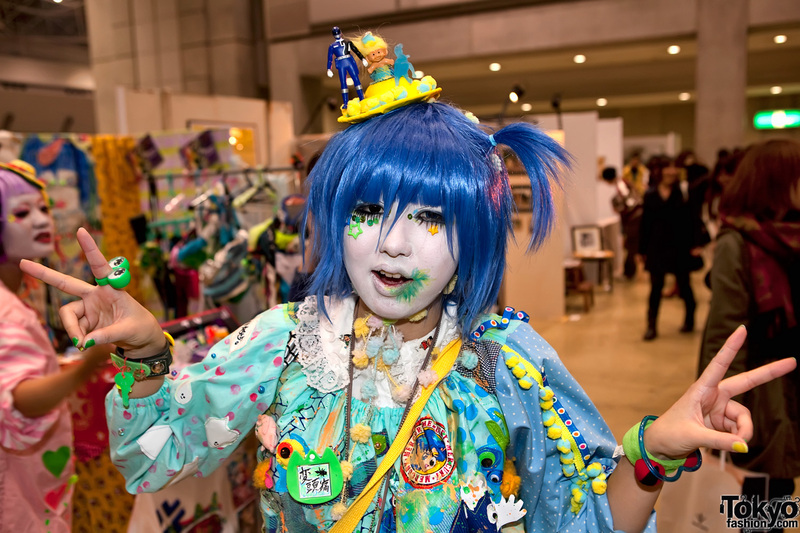 More than 50 pictures from the most recent edition of Asia’s premiere art & design event – Design Festa #30. 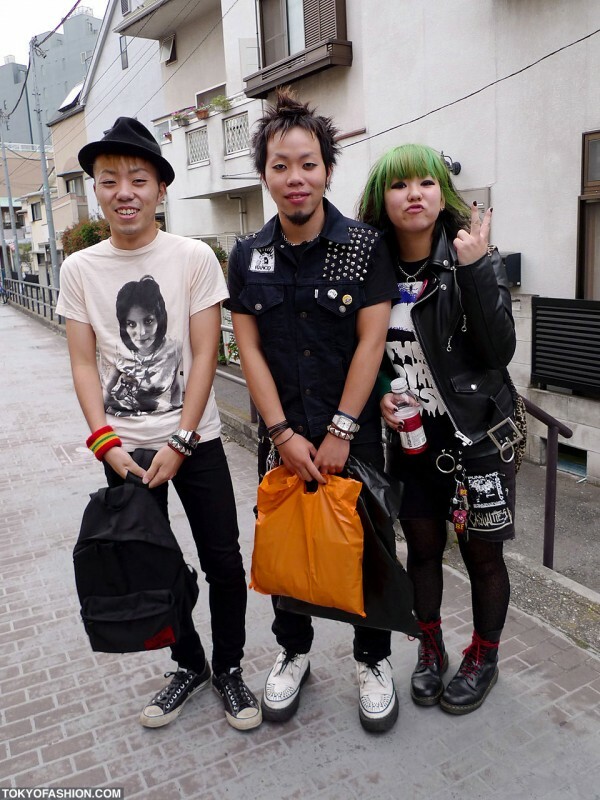 A Japanese punk girl with green hair and two punk guys on Cat Street in Harajuku.